Exterior view of Darwin D. Martin House with restoration complete. The new reconstructed garden wall is in foreground. 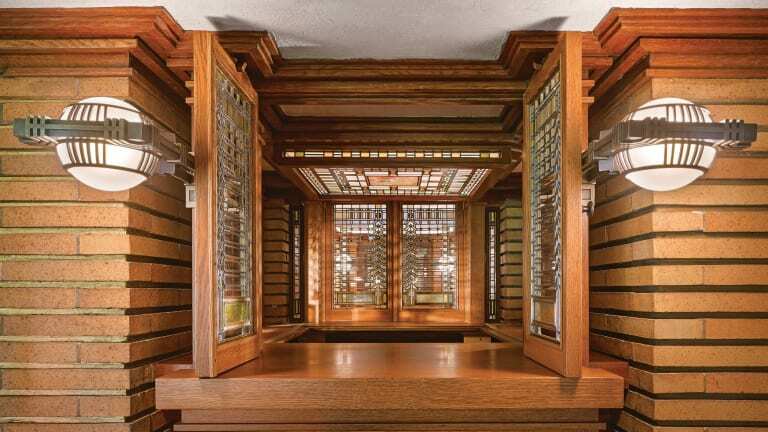 Frank Lloyd Wright, arguably the most influential architect of the 20th century, is distinguished for the genius ways in which he wed the built environment with its natural environs. 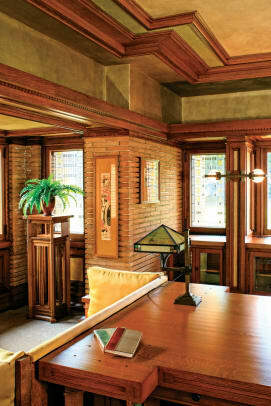 The Darwin D. Martin House (1903–1905) is a prime example of that genius. 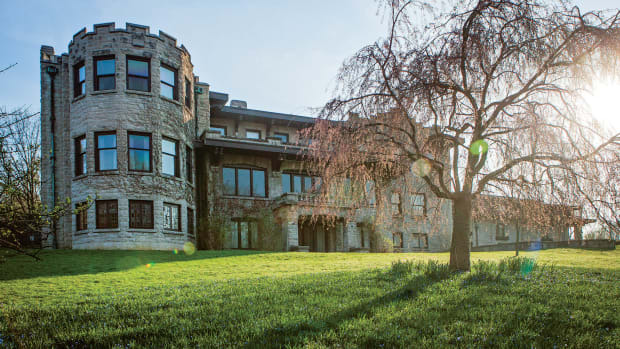 In fact, the 1.5-acre property is considered one of Wright’s crowning Prairie-style achievements. The National Historic Landmark is located in the Parkside Historic District of Buffalo, New York, and was commissioned by 37-year-old Martin, a self-made billionaire and secretary of the Larkin Soap Company. Martin and his wife, Isabelle, lived in the home from 1905 to 1937, after which time it remained vacant for 17 years. After decades of neglect and subsequent states of ownership resulting in partial demolition, the property found its savior. In 1992, the Martin House Restoration Corporation (MHRC) began raising the necessary funds to oversee the property’s complete restoration. Major work began in 1997, and in 2009, the Eleanor and Wilson Greatbatch Pavilion was opened to the public as a visitor center. The $50 billion project goal is to restore the entire property to its 1907 state for use as a public museum. The residential complex comprises six interconnected buildings: the Martin House, the George Barton House—where Martin’s sister and brother-in-law once lived—a carriage house, a conservatory, the pavilion, and a gardener’s cottage, which was added in 1908. Other significant structures include a pergola connecting the Martin House to the conservatory, and a greenhouse. View of dining room with Wright designed table and chairs. The restoration of this and many other rooms required the artistic blending of new and restored wood trim. The home’s pièce de résistance is the wisteria mosaic fireplace. 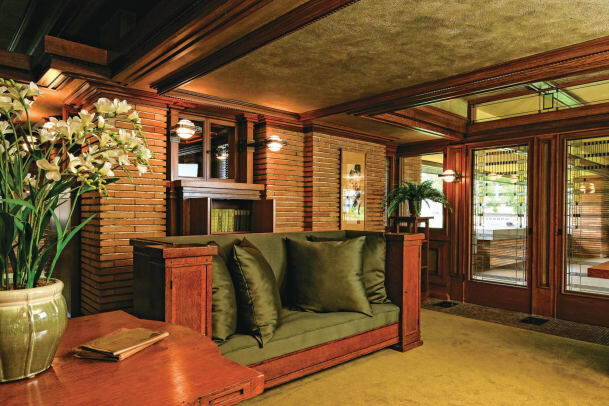 Though fireplaces feature prominently in Wright’s residential designs, few included a mosaic element. The 360-degree glass work spans all four walls of the double-sided fireplace, which provides a spatial divide between the entry and main living area. Wright’s beloved bronze, gold, and green palette colors the patterns of winding wisteria vines—a natural element found in the exterior landscape. Most of the original mosaic was lost to damage that occurred during the 17-year vacancy, though salvaged tiles were incorporated into the replicated mosaic. The restoration took two years to complete, and was the purview of Botti Studio of Architectural Arts—a family-operated business with roots that date back to the 16th century—in collaboration with HHL Architects. Spearheaded by founding Architect, Theodore Lownie, HHL Architects initially joined the project in the early 1990s, when the University of Buffalo owned the property. 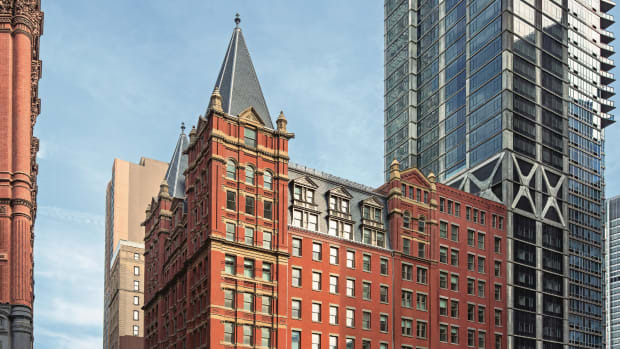 The firm was called in to assist with the reparation of a second-floor glass porch, which evolved into a project to restore the roof on the 50,000-square-foot Martin House. “It’s almost a hybrid between a commercial building with concrete and steel components, and a lot of [more residential] wood framing,” notes Matthew Meier, AIA. 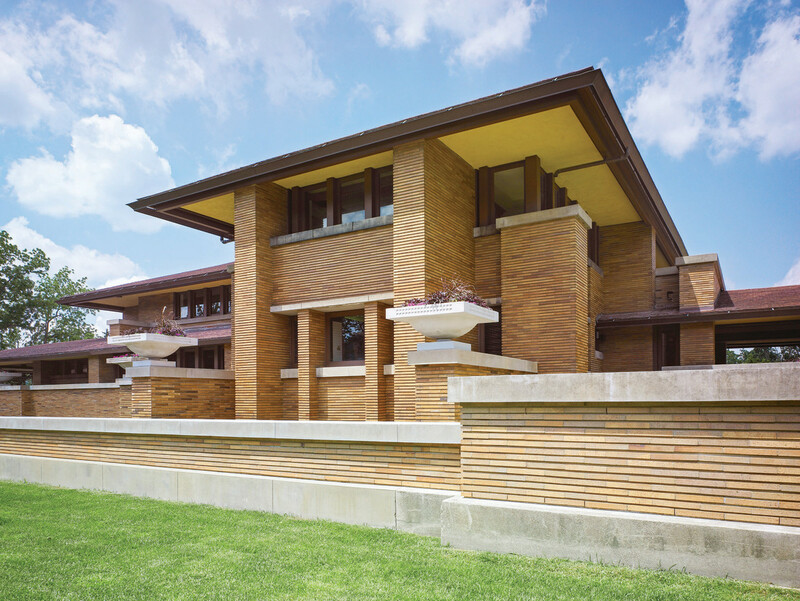 Replicating building materials, which during Wright’s time would have been fairly conventional and easily found, proved challenging. For the terra cotta roof shingles, for example, they used a 300-year-old company based in France that makes shingles by hand. 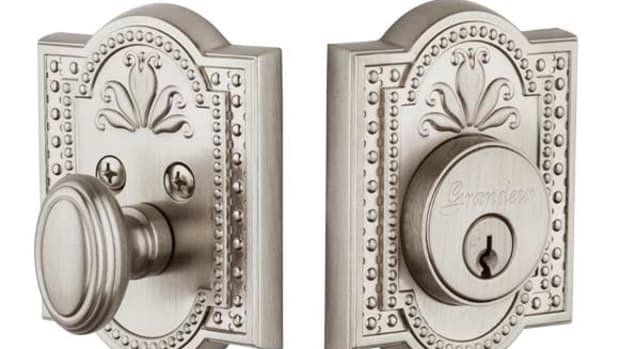 “We couldn’t re-create them using the original manufacturer because they don’t make them that way anymore,” Meier explains. The house includes 394 works of glass art designed by Wright—more than any of his other projects. Restored veranda doors at east end of living room. Natural light filters through Wright&apos;s restored Art glass skylight above. Art glass pieces, which Wright referred to as “light screens,” were vital to his Prairie style. They feature in windows, doors, skylights, and laylights or “false” skylights that run horizontally and are electrically illuminated. 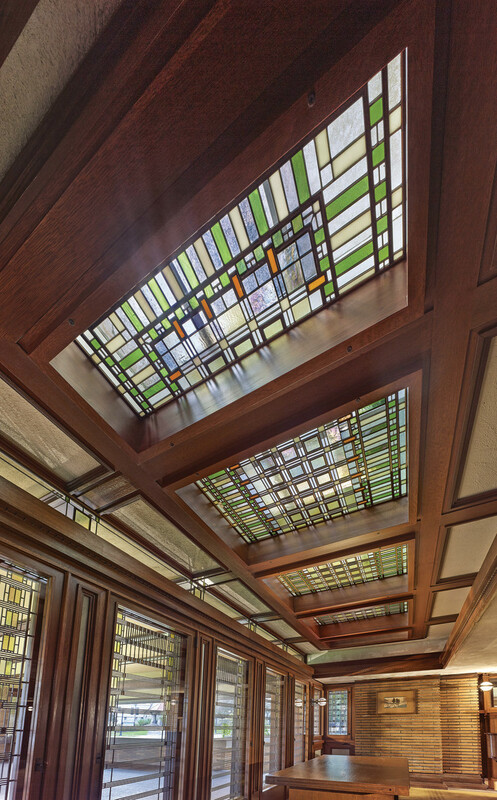 This project is home to the “Tree of Life” windows—Wright’s most famous glass work. Alone, it contains 750 individual panes of glass. The design intent was to connect the inside experience to the natural world beyond; Wright used casement windows because they literally open into the landscape, and invite it in. 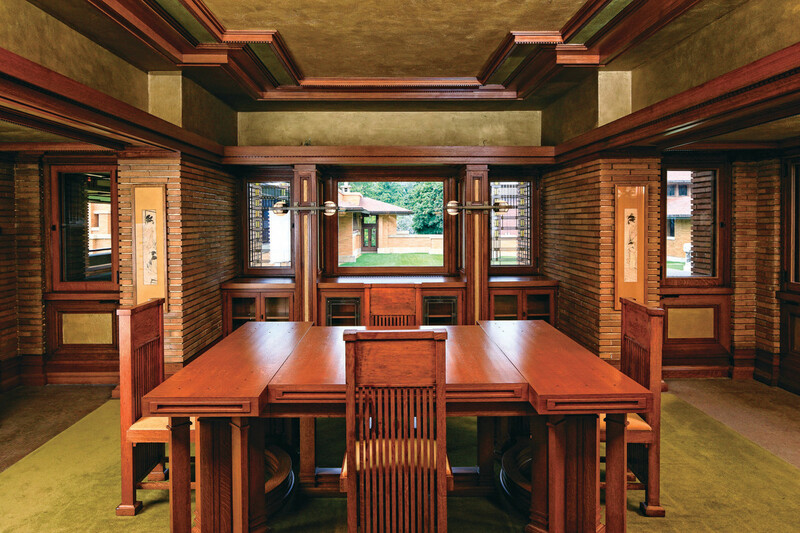 Wright designed all of the furniture and selected the artwork—the team worked to both restore the pieces still on hand and to re-create all of the missing components including fabrics, color washes, and finishes, which Meier describes as an “almost archeological” process.